Complete drop in replacement screen for the Mio 168 PDA, this replacement full LCM assembly includes the transflective TFT, colour LCD and digitizer which will solve any screen problems that you currently have. 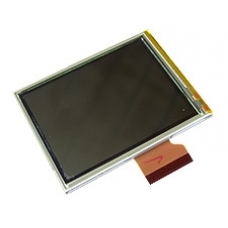 * Complete Transflective TFT LCD. If you are not confident with a 'Do it Yourself' installation of this spare part, just follow the Related Products link below and order the in-house Mio repair service. If your Mio 168 Digiwalker LCD has broken, with ink spots / bleeding on the display, or if the touchscreen is shattered ..